For the truly authentic Indian riding experience, one must do it on the quintessential Indian Motorcycle – the Royal Enfield Classic 500cc . 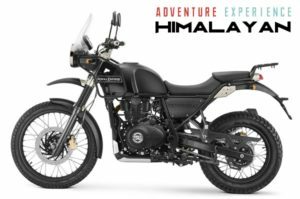 We also have the new adventure bike from Royal Enfield called the Himalayan. Often you will have the choice of either model. Why have a big comfy heated seat when a modestly padded vinyl covered seat attached to springs makes you think the bike is moving around underneath you, even if you’re sitting still! 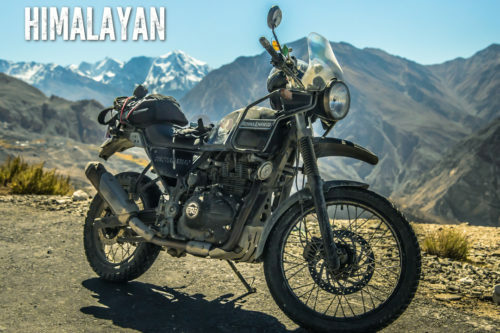 The Himalayan model soaks up the bumps of the off road sections with aplomb. The Classics and Bullets do a good job as well but it pays to keep you eyes on the road and let your legs do some of the work. Practice standing on your pegs and see how the bike soaks up the bumps. Screw that, why carry 50 kilos of stuff when you can throw it into the back up vehicle. We want you to have fun on the bike. NOTE: Most tour companies through the Himalayas will make you carry all your luggage on your bike. A bike with 24hp needs all the help it can get climbing the mountains and it certainly doesn’t appreciate the extra weight when trying to stop on the way down. Slow down and smell the roses, soak it up the amazing vistas and stop and shake hands with a local. The roads are full of surprises, potholes, gravel strewn corners, cows wandering down the road, slow moving trucks etc. Have fun on the bikes but remember it isn’t a race. We want you smiling as you drift off to sleep, dreaming about the roads you’ll tackle the next day. 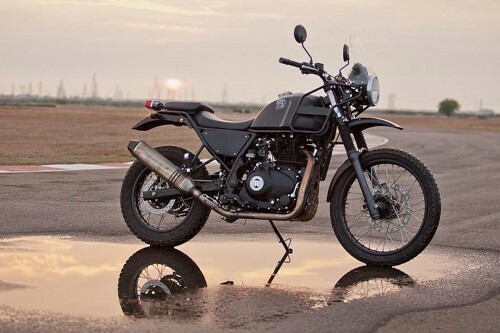 “Armed with a potent fuel injected 500cc engine and clothed in a disarmingly appealing post war styling, this promises to be the most coveted Royal Enfield in history. 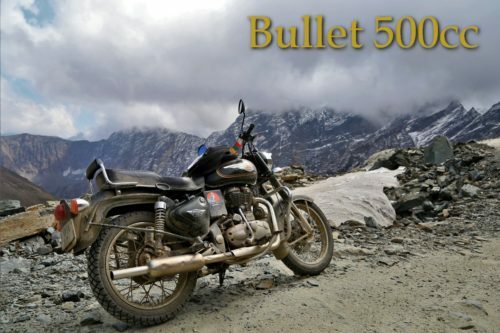 Interesting Facts about the Royal Enfield. Royal Enfield started producing motorcycles in 1901 and closed their UK factory in 1970. 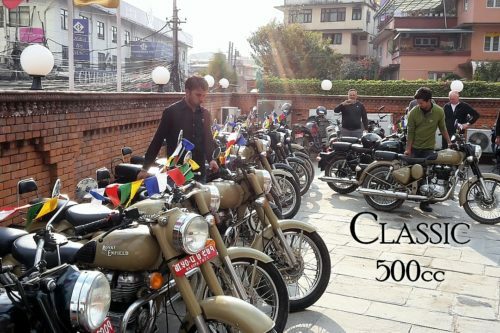 The Royal Enfield factory in India started producing complete bikes in 1962 and are going from strength to strength. 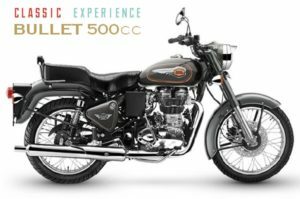 Royal Enfield is now the oldest motorcycle brand in the world still in production with the Bullet model enjoying the longest motorcycle production run of all time.